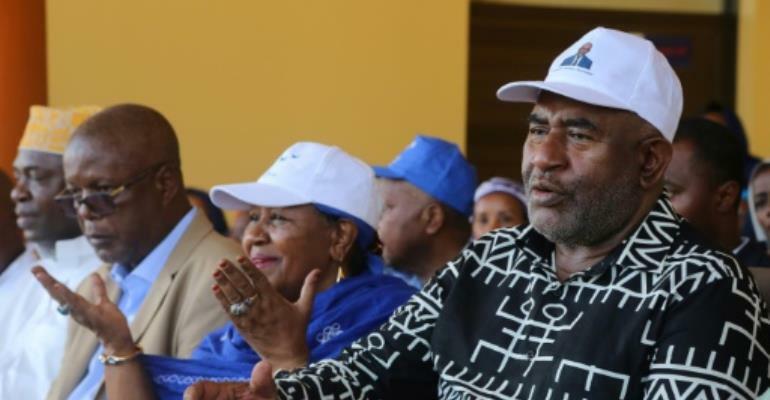 Gunfire rocked the Comoran capital Thursday after police arrested a defeated presidential hopeful who was named head of an opposition transitional authority hoping to unseat President Azali Assoumani. An aide confirmed the arrest of former military colonel Soilihi Mohamed who came third in Sunday's poll which the opposition said was rigged by the government. Civilians deserted the streets of Moroni and taxis stopped collecting passengers, an AFP correspondent saw, following the crackle of gunfire around the Kandani military base. Police earlier broke up a women's protest march and arrested 12 demonstrators. 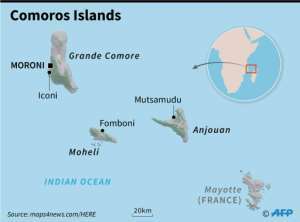 Comoros has had a volatile political history since independence and has endured more than 20 attempted coups, four of which were successful. The opposition has flatly rejected Azali's victory as the angry mood threatened to spark a new political crisis on the Indian Ocean archipelago. Mohamed had previously said that the opposition "will use all peaceful means to oust the government". Opposition parties have opted not to appeal the vote's outcome but called instead for new polls to be held as soon as possible. Interior Minister Mohamed "Kiki" Daoudou has dismissed criticism of the polls' conduct and declared: "It's not the street which rules the country."